Mustering the Troops: Bigatures? 4500mm figures? Anzac models as you've never seen them before! Bigatures? 4500mm figures? Anzac models as you've never seen them before! 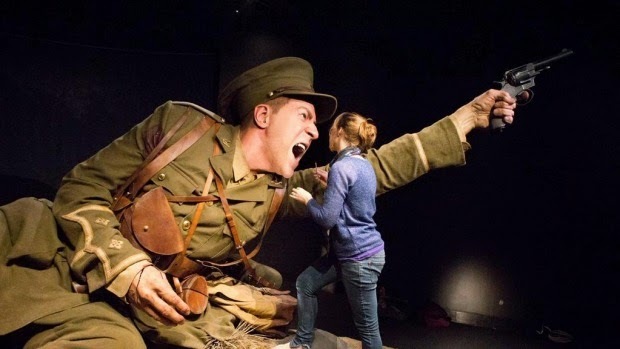 Our brother exhibition, Gallipoli: the Scale of our War at Te Papa has gone the totally opposite way from our diorama. Ironically, whilst our figures are 54mm high to show the bigger picture, theirs are 4500mm high to show the smaller picture! 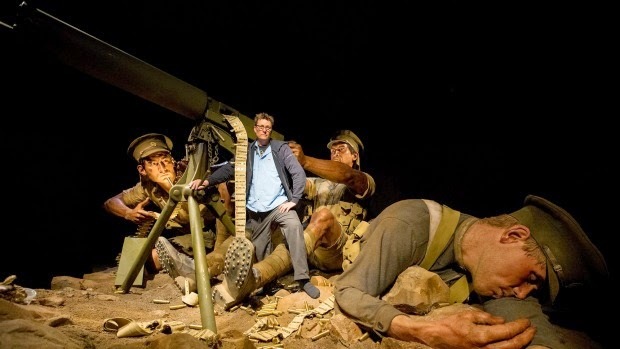 In the Te Papa exhibition, eight real New Zealanders who served in World War I were selected to be modelled two-and-a-half times real size. The models' fibreglass bodies were sculpted and milled in separate parts, and dressed in replica large-scale uniforms. Silicon skin was then added, and this was painted by hand and finished with hair over the eight month-long project. 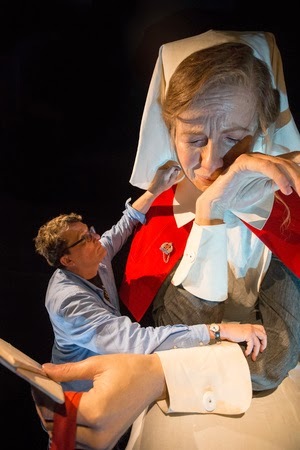 Both The Great War Exhibition (which from next Saturday will also include our diorama) and Gallipoli: the Scale of our War are Weta Workshop projects. The former's creative lead is Sir Peter Jackson, the latter's is Sir Richard Taylor. I had a quick look through Saturday morning. Those giant figures are amazing and there's plenty of stuff in there that would have made great reference material for the painting guide!